In light of yesterday’s post about making morning workouts a habit, I thought I’d give the play-by-play for my run this morning. 5:25 am: My alarm goes off while I’m deeply sleeping. I drift back into sleep for a few more minutes. Setting out clothes the night before helps get you out the door. 5:31 am: I start to break my own rule and dillydally. It may be unhealthy, but I try to read Twitter and my email as a way to get my brain awake. Bright eyed and bush tailed (not really). 5:40 am: I get out of bed and grab my clothes I prepared last night. I drink some water and eat two Clif chomps. 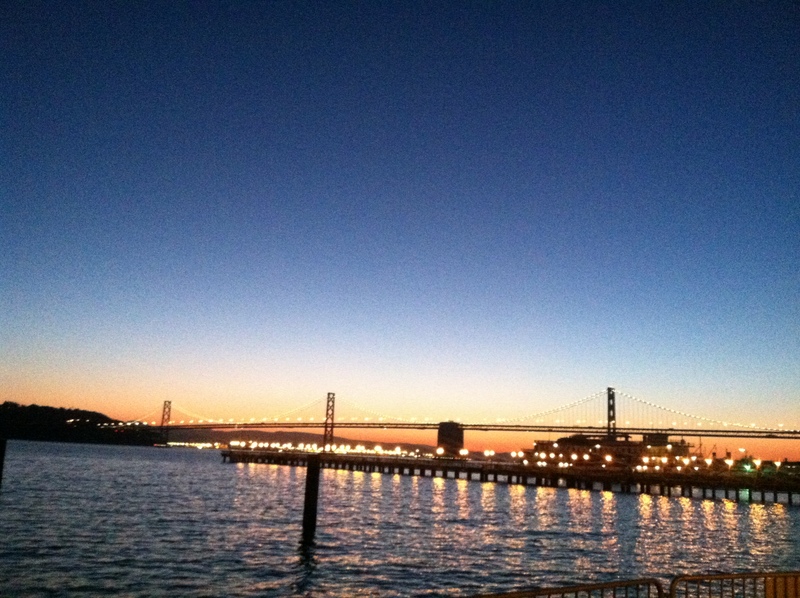 5:52 am: With Garmin and iPhone in tow, I head toward the Embarcadero for my five-mile run. 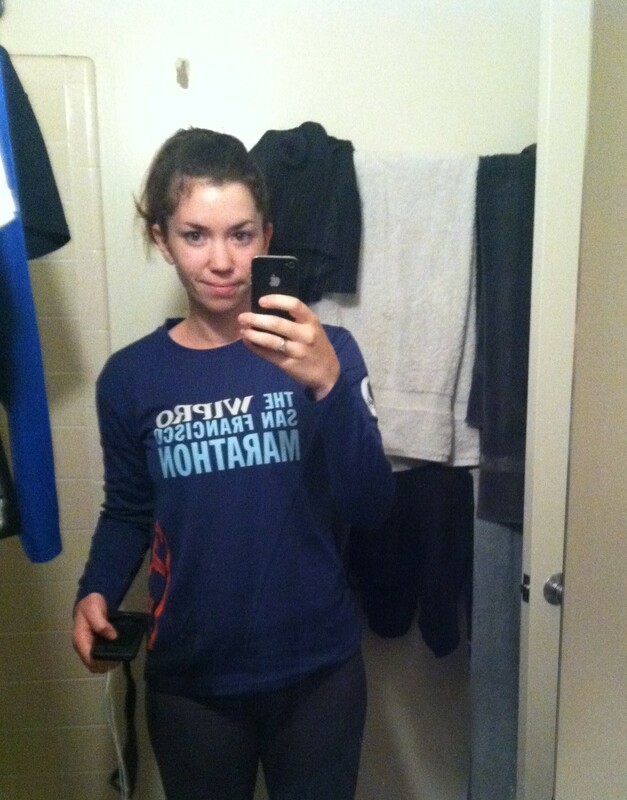 Mile 1: I’m in a lot of pain; my hamstrings are still miserably sore from lifting on Monday. I question whether or not I should be running. Mile 2: I start to get into a groove after my very slow first mile. Mile 3: I see a really cute Australian Shepherd with a long, bushy tail and get very excited. Mile 4: The sky is starting to light up. It’s going to be a beautiful day. Mile 5: My hamstrings hurt less and I’m glad I went for a run. Beautiful sunrise over the Bay Bridge. Great way to start the day. 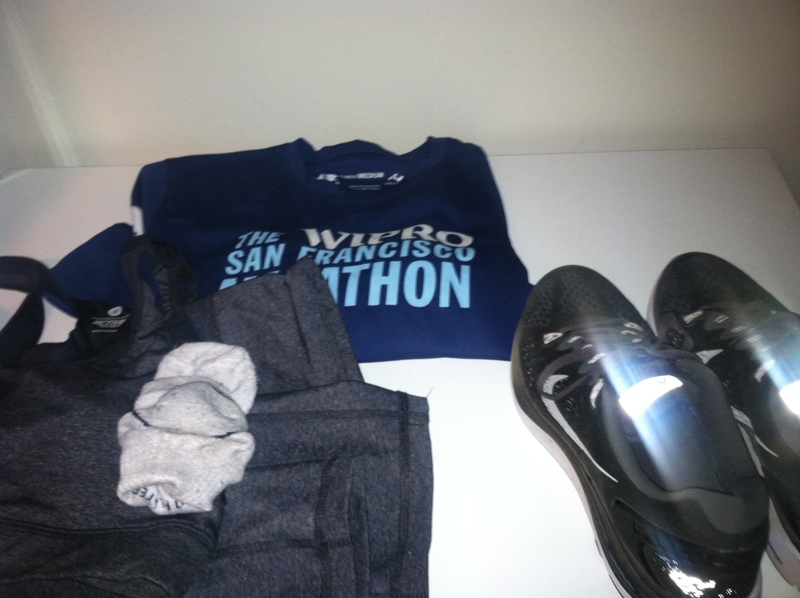 6:55 am: I arrive home, stretch my calves on my stairs, do a few hamstring stretches, and start getting ready for my day.